The subject I am dealing with is located in North County Dublin, and is the largest working quarry in the Republic of Ireland. 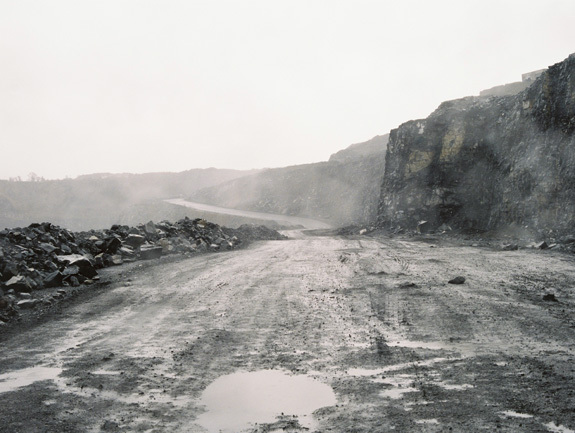 Many people do not realize the quarry exists, and also do not realize the city they live in and walk through everyday is build from the material extracted from here. A quarry stands as an enormous symbol of the consumption of raw materials by the modern world. These images show the spaces left behind when the rock has been removed, and search to find beauty in the aftermath of a destructive process for beauty can be found in the most desolate of places. The subject matter calls into question the constantly changing topography of our landscapes in order for humanity to build its desired world. As we dig down in order to build up, we destroy in order to create.